MEA issues statement calling for restraint and an impartial probe by the International Organisation for the Prohibition of Chemical Weapons. New Delhi: India has implicitly criticised the US and its western allies for the April 14 air strikes on an alleged Syrian chemical weapons site without sanction from United Nations or waiting for the results of a probe by the international watchdog mandated to monitor chemical weapon use.. The air strikes by US, UK and France on Saturday morning reportedly targeted three Syrian government sites in Damascus and Homs. The attacks were ostensibly in retaliation for an alleged chemical weapons attack in Douma last week, which killed several civilians. The Organisation for the Prohibition of Chemical Weapons (OPCW) had already sent an investigative team to Douma. In a statement issued late Saturday evening, ministry of external affairs (MEA) spokesperson Raveesh Kumar said that India was “closely following” the situation in Syria after the recent strike. “The alleged use of chemical weapons, if true, is deplorable. We call for an impartial and objective investigation by the OPCW to establish the facts,” he said. Even as the OPCW probe was being conducted, “we urge all parties to show restraint and to avoid any further escalation in the situation”, added Kumar. The MEA spokesperson noted that the current impasse “should be resolved through dialogue and negotiations, and on the basis of the principles of the UN Charter and in accordance with international law”. He hoped that the “long drawn suffering of the people of Syria would come to an end soon”. India’s statement was implicitly in line with the Russian response that the air strikes were committed “without a mandate from the UN Security Council and in violation of the UN Charter and norms and principles of international law”. Russian president Vladimir Putin had also pointed out that the air strikes were conducted without waiting for the results of the OPCW’s investigation. Not surprisingly, the Russian embassy in India also posted a link to the Indian statement on its twitter account and Facebook page. India’s consistent position has been that “there can be no military solution to this conflict and any external military intervention in Syria’s affairs should be excluded”. Last year, the US carried out its first military action against security forces led by Syrian president Bashar al-Assad. Over 50 Tomahawk cruise missiles were fired from naval warships against a Syrian air base on April 7. The attack was carried out in retaliation for another suspected chemical weapons attack on a town held by rebels. Unlike this time, there was no statement from India on the US air strikes last year. However, just five days after the 2017 air strikes, West Asian special envoys of the bloc of emerging economies, BRICS, met in Visakhapatnam and issued a joint statement which devoted considerable attention to Syria. The statement, endorsed by India, stated that any military intervention not authorised by the UN Security Council is “incompatible with the UN Charter and unacceptable”. Condemning the use of chemical weapons, the statement also called upon the international community to “remain united” in addressing this threat and also stressed the role of the OPCW. Spoke to Amb Manimekalai in Tripoli short while ago. She is cool and calm. Harrowing Sat night tho' with jets screaming above, she says. After the EU-led military intervention began, India said that it “regrets the air strikes that are taking place’. “As stated earlier by India, the measures adopted should mitigate and not exacerbate an already difficult situation for the people of Libya,” the MEA spokesperson said on March 20, 2011. After US-led coalition began its invasion of Iraq in March 2003, India expressed its “deepest anguish” on the commencement of military action. While accepted that the international community could disarm Iraq of its ‘weapons of mass destruction’ as per UNSC resolution 1441, MEA spokesperson at the time Navtej Sarna noted that there had been a “serious divergence of opinion” among the council members. He also stated on March 20, 2003 that it was a matter of “grave concern” that lack of consensus among the UNSC members had resulted “in seriously impairing the authority of the U.N. system”. India said bluntly that the “military action begun today thus lacks justification”. “It also appears from the various pronouncements of Dr Hans Blix and Dr Mohammad el Baradei that military action was avoidable,” said the statement, referring to the remarks of the then executive Chairman of the United Nations Monitoring, Verification and Inspection Commission and the IAEA director-general. 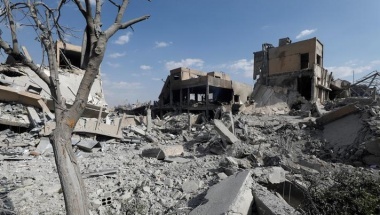 On April 8, both houses of parliament adopted a resolution which deplored the military action – and its stated aim of regime change – as unacceptable. The resolution also called for withdrawal of coalition forces and the protection of Iraq’s sovereignty by United Nations. In September 1998, the UN Security Souncil, acting under chapter 7 of the UN Charter, demanded that Albanian and Yugoslav forces should stop fighting in Kosovo and declare a ceasefire. Following the UNSC resolution, NATO defence ministers gave the green light to the military bloc to issue an activation warning, which was the first step towards air strikes. However, the UNSC did not authorise any military action against the Federal Republic of Yugoslavia. With the Clinton administration pushing for air strikes, India said on October 9, 1998 that the “sovereignty and territorial integrity of the international borders of the Federal Republic of Yugoslavia must be fully respected by all States”. This respect for Yugoslavia’s sovereignty was also affirmed by UNSC resolutions, including 1199. “We believe that in such situations consultation and dialogue, rather than confrontation, should characterise interaction between states,” said the MEA spokesperson. In March 1999, NATO launches air strikes citing a humanitarian disaster and refugee flows. 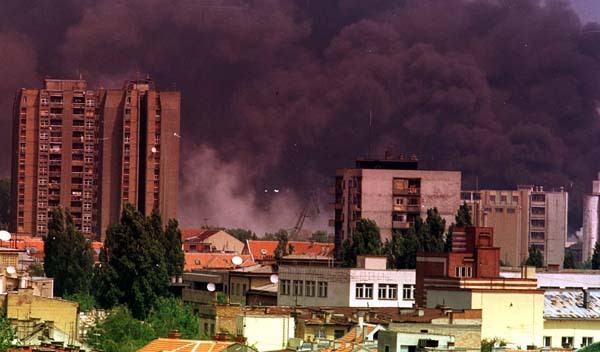 In March 1999, NATO launched air strikes on then Yugoslavia after peace talks failed. Credit: Wikimedia Commons. On March 24, ahead of the start of the air strikes, the MEA spokesperson reiterated the statement of October 9 in the previous year. “We are of the firm conviction that the resolution of this crisis can only be through peaceful means; through consultation and dialogue, and not through either confrontation or any military action, unilateral or otherwise. In this regard we wish to reaffirm commitments to the UN Charter, which clearly stipulates that no enforcement actions shall be undertaken under regional arrangements without the authorisation of the Security Council,” said the MEA spokesperson, warning NATO against the launch of military action. 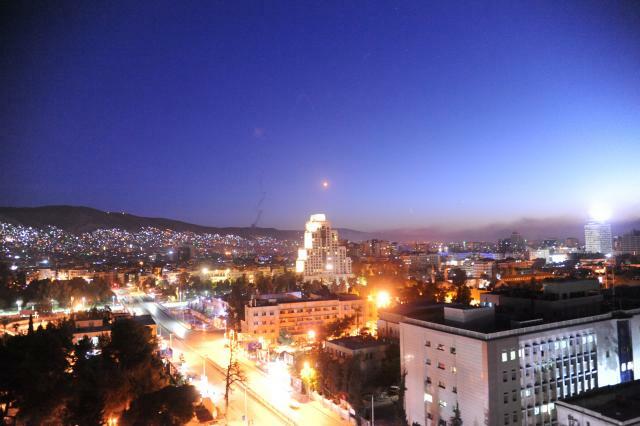 The bombing campaign by NATO began on March 24 at 7 p.m. GMT (12.30 a.m. IST on March 25). India expressed “serious concern” on the NATO air strikes on March 25, stating that the “unilateral moves, even if taken as regional initiatives” undermines the authority of the entire United Nations system. “The government holds that the air strikes are in violation of the UN Charter, also that they amount to interfering in the internal affairs of a country,” said the statement. On the 49th day of the airstrikes, India’s official spokesperson noted “with particular concern the effects of the continuing and intense aerial bombardment by NATO forces which has not spared important cities and towns including Belgrade”. “Hospitals and other civilian establishments as well as diplomatic premises, have become targets causing considerable loss of innocent civilian lives and destruction of human habitation,” he said. Calling for an immediate end to NATO operations, India welcomed proposals for a “diplomatic, negotiated solutions” and called upon the military bloc “to show responsibility and respond positively”. One of the missiles fired by NATO planes landed on the compound of the Indian embassy and ambassador’s residence.